After many enthusiastic questions from the public about its return, we are thrilled to announce that the Third Annual Bryant Park Square Dance will be held on the lawn from September 19 - 21. Bryant Park Square Dance devotees may notice that, in contrast to previous years, the square dance dates are consecutive. The evenings of September 19 and 20 will be great for kicking back after a long week, or spending time with that special someone; the Sunday afternoon square dance will be geared to families. Of course, we'd love to see you on each of the three dates! 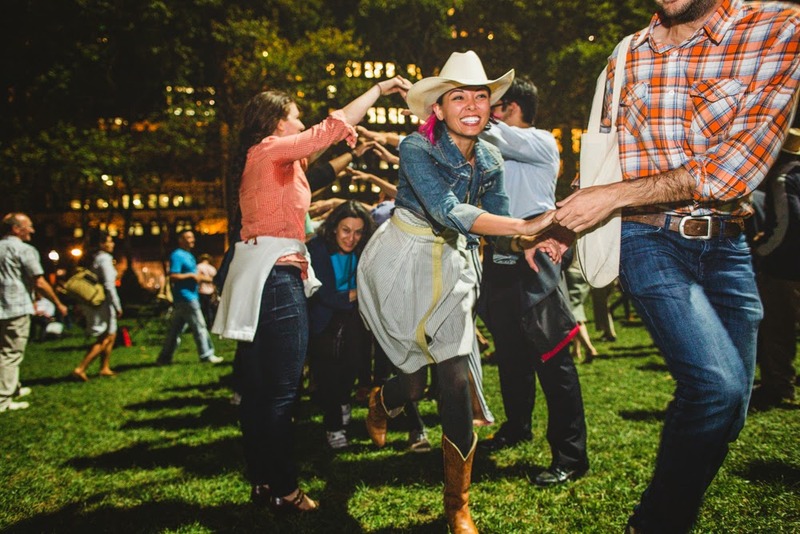 Like all park programs, entrance to the Square Dance is completely free and no ticket or registration is required; the only element of the event that requires a wallet is the food and beverages. We're mixing up the Square Dance in other ways, too. We've got a mechanical bull coming on the Friday and Saturday dates, so bring your balance and hang on tight. The Sunday date will have kid-friendly dances and square dance-themed crafts, which we've not offered in previous years. Hester Street Fair, which brought its offerings to each evening of the HBO Film Festival, will be on hand all three days to fuel your dancing. We'll have expanded trick roping, with more ropes and instructors to show you the way. These upgrades are balanced with the return of some of the signature elements of the event. Dave Harvey, who has participated in the square dance since the first year, is back to call the dances for all three evenings. Corn hole and raffles are back to entertain the non-dancers in the crowd, or those who are taking a break from the do-si-dos. 'wichcraft is back to provide the beer and wine selection. We have thousands of hats to give away to participants, courtesy Southwest Airlines. And just like last year, we encourage you to use the #BPSquareDance hashtag on your Instagrams, Tweets, and Facebook posts so your friends know you're at a Midtown hoedown unlike any other! 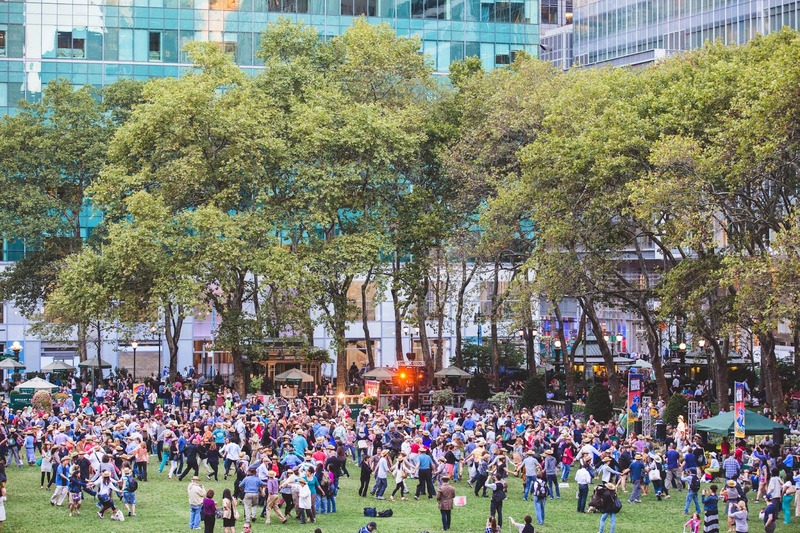 We say it every year, but this year's festival atmosphere and consecutive dates ensures that this will be the best Bryant Park Square Dance we've seen yet! Stay tuned for more information and details.